What a week to kick off our season! Rain, rain, and more rain! 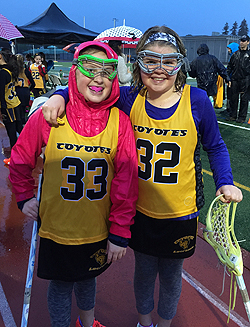 Last weekend, a number of teams scheduled on turf fields braved the wind and rain to play their games. Playing a lacrosse game in the rain is actually super fun. Watching a lacrosse game in those elements is another story. Thank you to all the coaches and parents who stood on the sidelines cheering on their team. The weather gods are predicting another rainy weekend so keep checking your schedules, assume turf games are on, and bring your umbrellas! PUPS spring season begins April 10! Check out fun Summer Camp opportunities! Stanford LAX Schedules-check out the home games! Stanford Lacrosse is in session: check below for game schedules. Attend a game with your team! 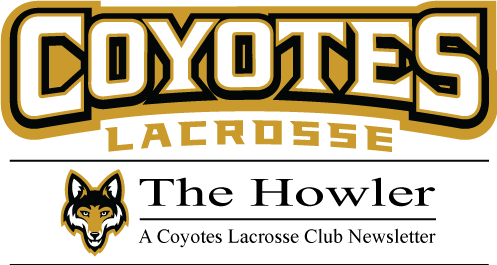 Michaela Michael, a Coyote Alumni, was named to the 2016 Tewaaraton Award watch list, awarded to the best female college lacrosse player. She was just on the cover of Lacrosse magazine along with her USC teammates for leading the Trojans, currently ranked #11 in NCAA poll.